Wonderful hospitality, healthy breakfast, very polished and professional. Excellent location near town, river and hiking trails. 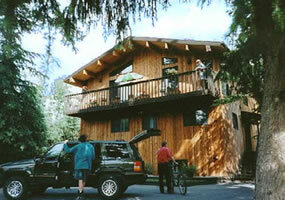 For reservations call 403 762 2809 or visit Treetops Banff B&B website. Mouth watering baked goods and breakfast, cozy rooms, close to town & river.